The U.S. Food and Drug Administration is looking at a new wave of wearables that can monitor serious illnesses. While fitness trackers such as the popular Fitbit and Jawbone gadgets, there is a new form of wearable technology making its way into the marketplace and in this case, it will be necessary for FDA approval to be issued in order to be able to sell them in the United States. That said, the FDA is looking forward to the opportunity to find certain wearables that work for medical purposes. The first waves of these wearable technology devices are going to be heading to market soon, after extensive time in the lab in which they have been developed and extensively tested in order to meet the requirements of the FDA. These gadgets have been created in order to detect, monitor and track serious diseases in their wearers. This could help to enhance and broaden access to high quality health care and could create a new industry worth tens of billions of dollars. This new wearable technology business opportunity could be very helpful for patients with diabetes, epilepsy and other illnesses. The FDA is already getting itself ready to handle the anticipated influx of mobile health gadgets that are hoping to be released pending its approval. 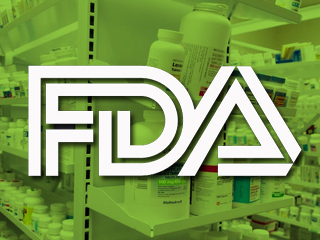 According to the associate director for digital health with the agency, Bakul Patel, the FDA is already in the process of reviewing three new applications for senior health scientist positions that will have a focus on that specific category. Despite the fact that the FDA has been called a barrier to innovation by certain entrepreneurs in the tech industry, the agency is hoping to alter that reputation and to become an important partner in the effort to ensure that devices can be developed that will be genuinely helpful in improving the health and quality of life of medical patients. It is also keen to encourage health insurance companies to start covering devices that receive official approval. After all, patients, doctors, insurance companies and tech developers, alike, want to know that there is actual clinical benefit to a wearable technology device before it is released to market along with a slew of promises.